This one hour cruise takes in the heart of London on this circular journey† and the beauty of this trip you can get off at any of the piers on route then get back on again once you have seen that area. 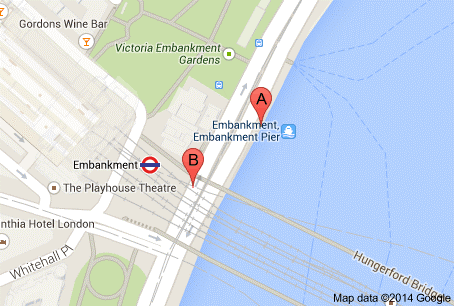 † Calls at Embankment Pier - Festival Pier* Bankside Pier* and St. Katherine's daily. The e-mailed voucher must be exchanged at any of the ticket offices Westminster, Embankment, Festival, Bankside and St. Katherine's Piers.